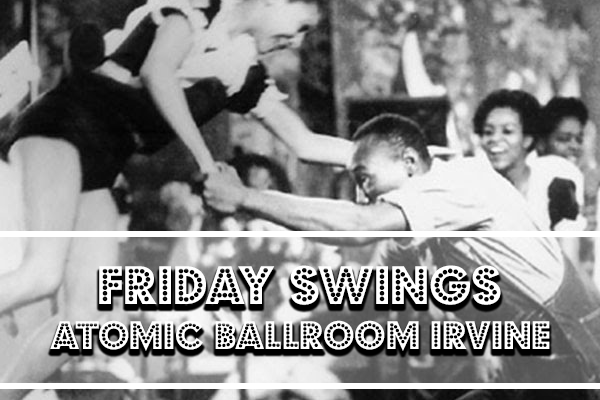 The most popular night of swing dancing in Southern California, our Friday Night “Big Bang Swing” regularly welcomes between two to three hundred dancers from a couple of states. Don’t miss it, and be sure to get plenty of sleep on Thursday because we regularly swing out until 1:30 or 2:00 AM. If you need a breather, or if you like your swing a little more bluesy, then head upstairs to the Loft, where we host a blues dance every Friday night. Get down and slow down with a variety of guest DJs and instructors. 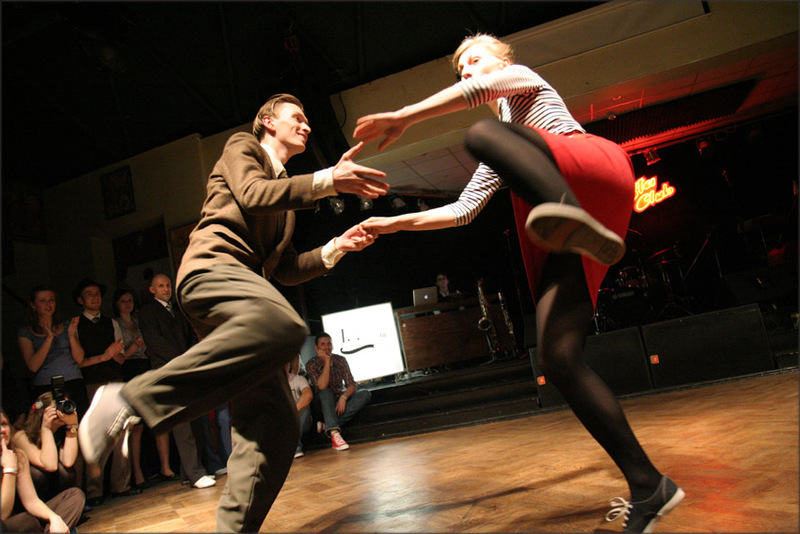 With group classes that are perfect for learning the basics in Lindy Hop, Charleston, and a variety of other swing dances, as well as advanced classes for the long-time dancer, Friday nights are part of a long-standing tradition of swing dancing at ATOMIC ballroom. We don’t just continue the tradition – we’re a major part of it! So come dance at one of the world headquarters for swing, every Friday night. $10 (includes admission to the Blues Lounge, the Salsa/Bachata Practica, and the Tango Lounge). $15 when there is live music or just $5 if taking a class. Group classes: Take advantage of our $70 New Student Special and get a 10 Group Class Virtual Punch Card. That’s 50% off the normal price! Our New Student Special can only be purchased on your first visit. After that, you can pay with an ATOMIC package, Punch Card, or $18 per class (any group class also includes admission to the evening dance that night, unless there is live music or a special performance).